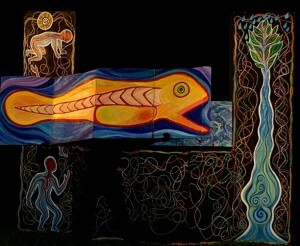 AT THE TURNING OF THE TIDE is a performance spectacle celebrating the life and times of the Hudson River Estuary. Propelled by Dean Jones’ live music and pithy narrative, the show draws from history, science, politics, and art to render a moving portrait of this influential tidal river. Archetypal mask and puppet characters enact the inner nature of the estuary, the eat-and-be-eaten dance of the food chain, spawning cycles of sea-run fishes, invention of the steamboat, settlement of river towns, captains of industry, landscape artists and the modern battles to clean up the river. At the Turning of the Tide premiered in 2002. The show has toured extensively— its performance credits include Lincoln Center Out of Doors Festival (NY), Firstworks Providence (RI), Carleton State College (VT), Papermill Playhouse (NJ) CUNY Kingsborough (NY), & the Am. Museum of Natural History (NY), plus scores of schools, festivals and community events. AT THE TURNING OF THE TIDE is 55 minutes in length and performed by a four member company. It requires a performance are of 38’W X 25’D X 15’H and is suitable for venues of up to 1000 seats. It is also adaptable for outdoor presentation and school -day programs. 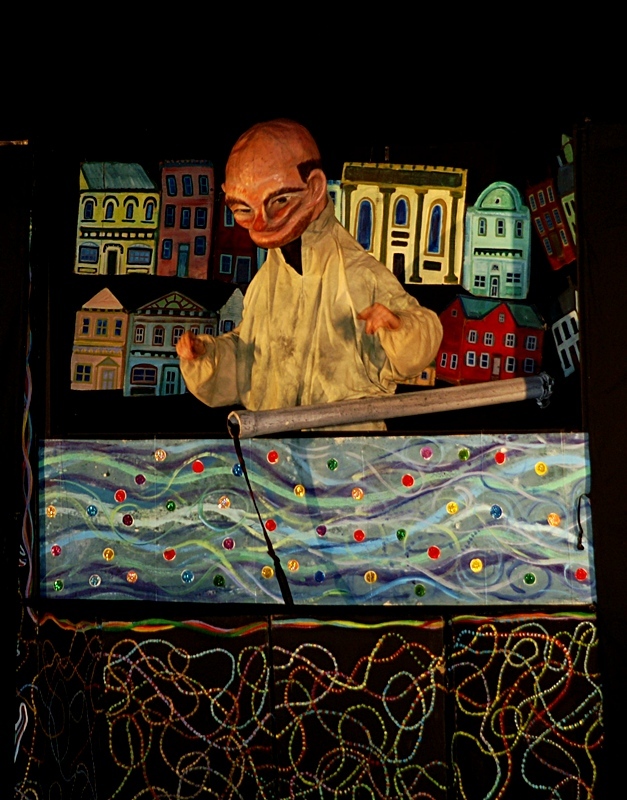 Production of At the Turning of the Tide was made possible by grants from the New York City Environmental Fund and the New York State Environmental Protection Fund through the Hudson River Estuary Program. 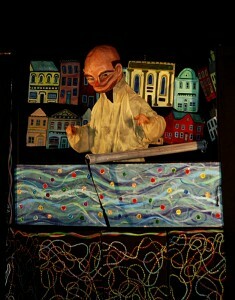 Performances are made possible, in part, by public funds from the NY State Council on the Arts, a State Agency.